Chanting and meditating on OM annihilates all destructive qualities like laziness, ego, hatred, arrogance, sorrow etc and brings in happiness, enthusiasm, concentration and self-enjoyment. Prolonging the exhalation and inhalation process reduces the rate of respiration. You can practice this technique by prolonging M of AUM. Prolonging M on chanting AUM will reduce the rate of respiration and will cause deep and slow breathing. Prolonging the O in OM acts as a painkiller and prolonging M as a tranquilizer. Meditation with chants of Aum provides dual benefits to the follower and is definitely the easiest way to have a relaxed peaceful state of inner mind. By dual benefits, I mean AUM meditation acts as both, a painkiller that removes body pain and a tranquilizer that removes tension, anxiety, fear, uneasiness, remorse etc. Humming of AUMMMM increases the production of nitric oxide and resonate your pineal gland. 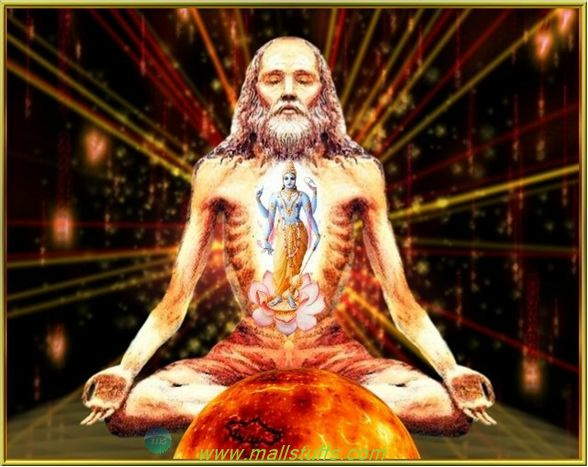 Vibrations produced by chanting AUM penetrate each atom, molecules, tissues, cells of all your body organs thereby resulting in a complete natural message on your body. It also clears impurities in the nadis (nerves). Even science confirms the existence of massive energies in sound vibrations. Singing opera loudly creates such a destructive negative energy that it breaks the thick glass very easily. Similarly, mantras or AUM were chanted by sages to invoke the deities to shower rain on earth in case of deficient rainfall. Dr.Leser-Lasario, who did 25 years of extensive research on studing vocal vibrations, concluded that emission of vowels during exhalation process massages the internal organs. 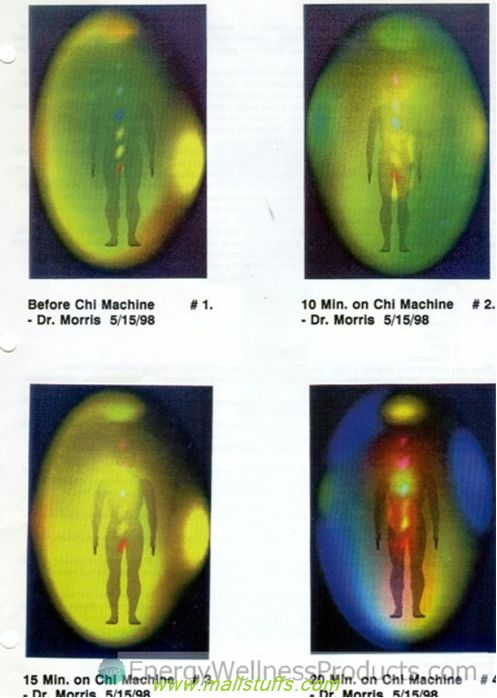 These vibrations reach the deepest cells and tissues of the body thus intensifying the flow of oxygen and bloods in the internal organs. Increased flow of oxygen and blood in the body stimulates pituitary and hormonal glands thus causing the body to react more dynamically and vigorously. 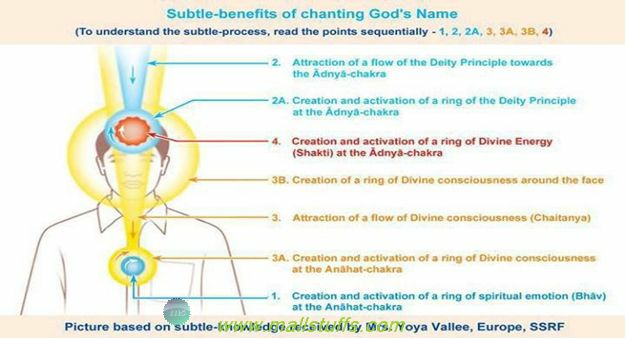 Chanting of unique combinations of vowels and consonants in mantras produces different kinds of chemical changes inside the body. A creates vibtations that affects the spinal cord. 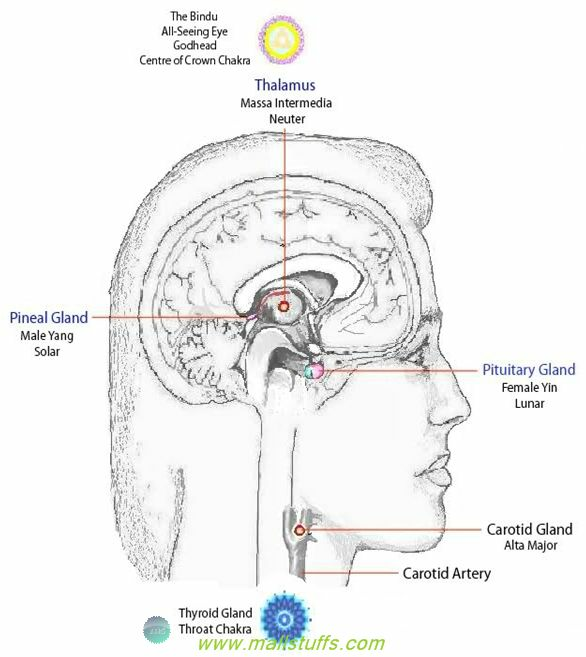 U creates vibrations that stimulate the thyoid glands and M creates vibrations that increase the eficienty and reaction time of the brain. When the eficieny of brain increases, naturally the level of concentration increases and the body is devoid of depression, fatigue and negative outlooks of life. Fifteen minutes of AUM chanting twice daily is equivalent to eight hours of REM sleep. Chanting AUM stimulates the chakras to release additional cerebrospinal fluid thus increasing vigor and energy in the body. Relaxed mind decreases the blood pressure decreases and improves the health of your heart. This is because of the Stiumlation of harmones from pituitary glands that reduces high blood pressure. Chanting UMMMM part of AUM not only reduces the respiratory rate but also stimulates the endocrine and thyroid glands. When your mind gets diverted to filthy, dirty thoughts, it is the time to connect with the divine reality. Chanting of AUM drives away the negative thoughts and instills vigor and energy in the body. Rythmic pronunciation of AUM sweetens your voice. It makes the mind calm and serene and infuses the much needed spiritual quality to ensure self-realization. Power of Aum can be seen in the eye of the doer. Chanting AUM rejuvenates the mind and increase concentration power. 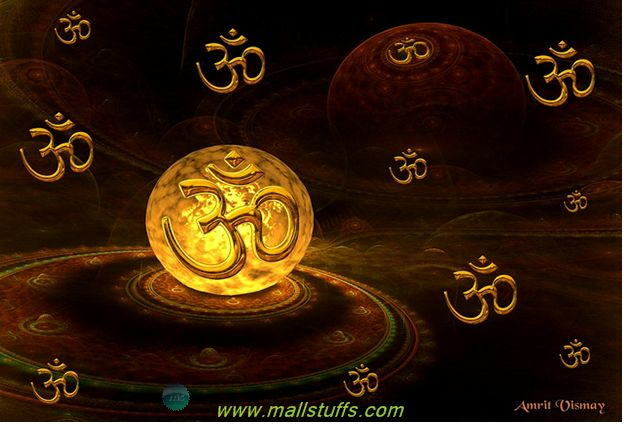 Aum is the only mantra that is fit for peoples belonging to all age groups. There is no need of a guru to learn the art of chanting AUM. Chanting Aum eliminates stress, anxiety, anger and boosts creativity. Repetition of the word Om is said to slow the breathing, calm the nervous system and exhilarate the glands and organs of the body. Aum is chanted before the start of any ritual, custom or religious ceremonies. Benefits of chanting AUM and yoga is well backed by medical science. To understand the effect of chanting, consider our daily act of downloading a file from internet onto your computer. This downloaded file must be executed by software specially made to run this file. Without software, this file is of no use as you cannot examine the content of the file. Similarly, file is like the spiritual experience you gain from continuous meditation while program are the various concepts stored in your mind to execute those spiritual experiences. Spiritual experiences may be hard to feel or explain unless we execute it carefully through our mind. Chanting mantras brings positive effects on mind and body. They were composed in such a way that resulting sound vibrations produces a positive effect on the body. Scalar energy produced by Mantras resonates in the zero point field hyperspace. This scalar waves has an antigravity effect on water thus soothing our mind as our body is mostly water. Chanting daily makes you a content and confident person. You will be more positive, progressive, open, soft, and calm and would deal with people more passionately. 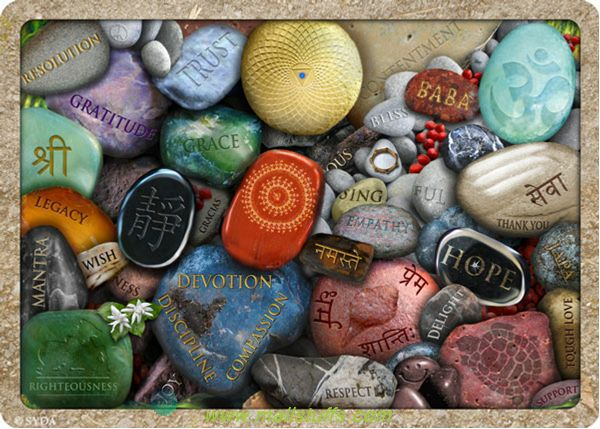 Thus, Mantra helps in fighting against the disturbances and problems of daily life. Chanting improves the functioning of the body by repairing the damaged cells. IT lowers the blood pressure and increases the efficiency of cells and oragns of the body. Due to its healing benefits, it is used as a yoga therpy to cure diseases. Group chanting not only produces the healing effects on all people in the group but also sends out positive vibrations in the environment which purifies the surrounding plants, animals and peoples. Sound waves generated by such mantras resonates the earth atmosphere and hence, reaches the heavenly deities. Thus, chanting mantras creates a divine link with the deity which serves as the medium to shower prosperity, fame, success, wealth and power to the devotee. Respiratory rate increases on crying and decreases while relaxing. i.e when we are in distress, our breathing rate increases and when we are relaxed, the breathing process gets relaxed. Hence, to relax and enjoy happiness, one needs to reduce his rate of respiration. This is willfully done by reducing the rate of respiration. Rate of respiration can be wilfuly increased or decreased by yoga, meditation and chanting mantras.Meditation or Pranayama is the process of slow and deep breathing along with chaning mantras to lower the rate of respiration. Fools are the ones who do meditation and yoga for potent boons like immense wealth, gaining powerful weapons or winning over the three worlds. People easily gets influenced to tantric and black magic to win over your opponents but they fails to realize that the aim of this materialistic life is not to win against the opponent but to win over all evil and materialistic desires. Through continuous practice of meditation, chanting, breathing exercises and yoga, one experiences this stage of complete freedom, total clarity, inner peace and universal harmony rejecting all the desires and materialistic forces. Turiya is the eternal reality, only one that is above all universal phenomena. It is this stage that a spiritual follower realizes the divine magic of AUM.AUM is the only sound that pervades life and reaches our soul through breath. Just as the living body has no vivacity without the blood flowing through the veins, a mantra has no life without the AUM flowing through its words. When Vedic sages practices the art of meditating upon the AUM symbol, Pranava(life) runs because of chanting and the body no longer needs food or water. This art of meditating upon the AUM symbol is called Pranava upasana. When the seeker hears the cosmic AUM sound, his heart become serene and controlled free of all fear and sufferings. In this exalted state of consciousness, one can see the glow in his body. In this stage of enlightenment, one unites with the god and attains absolute liberation. Aum is the only sacred word that connects the mediator directly with the divine. This is the oldest divine hymn that is not chanted for monetary or materialistic gain, but for the purity and liberation of the soul. HOW chanting AUM connects us to god? Some positive energy exists around the idol which is experienced by the devotees continuously. When we chant, sound vibrations that are produced by our concentrated mind react with this positive energy and create a divine current. This current instills some of the positive energy within our body thus bringing internal peace to the mind. This effect is very similar to the magnetic effect instilled in an iron rod that was rubbed by the magnet for few minutes. We are just a small fraction of the sum total created by god. Sometimes, the mantras are chanted with yantras(instrument) which may include musical instruments like flute, sitar, bells etc. This is done to produce extremely powerful sound vibrations that can cure illness by the constant flow of positive divine energy. It is said chanting produces certain lighting figures of deities in the mind which become brighter and brighter as we advances in the various stages of self-realization.How mantra cures diseases? 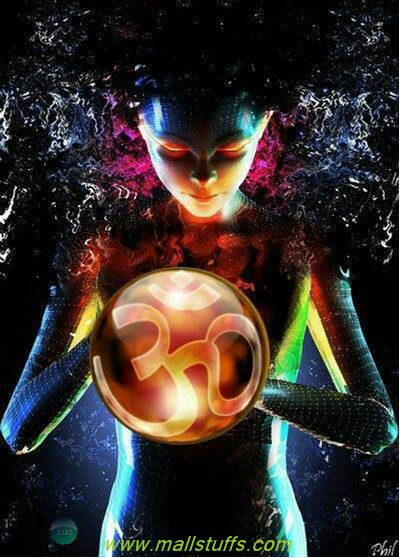 Since the beginning of this universe, AUM has been used as the first aid to cure diseases. If you are a believer of science and thinks that there is no way AUM sound can do anything to the soul and body, then think once again? Infrasound and ultrasound are used in the cure of many diseases. Ultrasound frequencies above 20 KHZ are used to cure kidney stones and tumors. It is chanted as the daily dose for peaceful mind and body by spiritual aspirants. Though chanting of mantras has been conventionally linked only to Hinduism and its offshoot religions like Buddhism, Jainism and Sikhism, it has the backing of medical science. Chanting AUM in meditation has received worldwide recognition. More and more yogic followers have now started chanting AUM to remove their stress and cure alimentary diseases. “Brahmvarchas Shodh Sansthan” is the leading research center on spiritual science that has carried out several experiments to study the healing of diseases by chanting mantras. Listening music, singing, dancing and chanting are some of the mediums through which the one yearns for the satisfaction of the soul. Westerners heard the AUM sound for the first time in 1968 in Moody Blues Album named “In Search of the Lost Chord”. People who don’t believe in the divine effect of chanting mantras should listen to this song. Additionally, have a look at Kirlean photography for more stunning information. Note: Images used on this website are either a production of Bhaktivedanta Book Trust(http://www.krishna.com), Iskcon Foundation or were found in google search under “Free to use and share”. If any of the images presented here violates copyright issues or infringes anyone copyright or are not under “Fair use”, then please bring it to our notice. Read Disclaimer for more.